You’ll start by familiarizing yourself with JShell, Java’s interactive command line shell that allows programmers to run single lines of code and get immediate feedback. Then, you’ll create a guessing game, a secret message encoder, and a multitouch bubble-drawing app for both desktop and mobile devices using Eclipse, an industry-standard IDE, and Android Studio, the development environment for making Android apps. 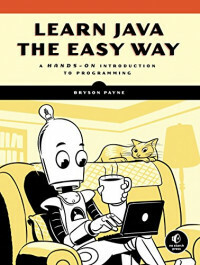 If you’ve been thinking about learning Java, Learn Java the Easy Way will bring you up to speed in no time. Want to become an eBay entrepreneur? Nobody knows more about starting an eBay business than Marsha Collier, and she’s put it all in 1-2-3 order for you in eBay Business All-in-One For Dummies, 2nd Edition.